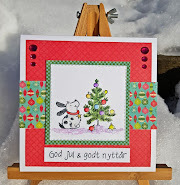 Hos Dorte: Anything Christmas Goes, a DT card for HMFMC. ...now that's a SUPER easy one!! will run through January 9th, 2017.
oh I love this image. The papers are from LOTV and the die I've used for the shape is from Go Create. it's made with a die from Kort og Godt and cut out in some glittery foam. We have 3 amazing generous sponsor prizes on offer for this chall..
Find Stampendous! on Pinterest ; Stampendous!on Facebook. 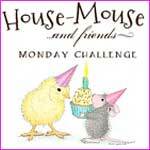 Lawn Fawn, Copics, House-Mouse Designs and so much more. 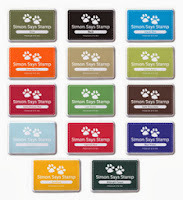 timing to shop at the fabulous Simon Says Stamp store! Big Thanks to our Generous Sponsors for their continued support..
up with, and then join us for this challenge with a card or project. this is adorable, such a sweet image! This is just precious Dot and I love that cluster of flowers in the corner! Great job! Thanks so much for joining in the fun at our Double D ‘Traditional Christmas Colors’ challenge! We hope you’ll come back often. The plaids are so very festive Dorte...I love your sweet mice...beautifully done Dorte!! Have a lovely day! A gorgeous Christmas card, with such a cute image. I love the unusual shape and the festive embellishments. A super creation for our Christmas theme at Allsorts this week, many thanks for joining in. Beautiful card Dorte. Love the image. Thanks for joining us at creative inspirations this fortnight. Adorable and fun Christmas card! Thanks for joining the Double D November Challenge, "Traditional Christmas Colors". Simply adorable, with gorgeous embellishments! Thank you for sharing your lovely card with us at Stamping Sensations. Fabulous card, thanks so much for sharing it with us over at Crafty Catz this week!